Whether 2015 has been a good year or a bad one, now’s the time to put the past behind. 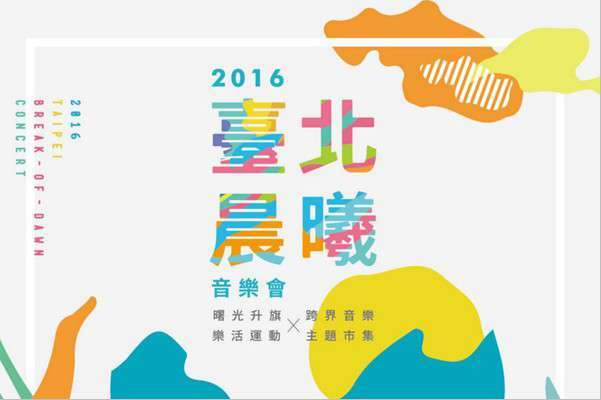 2016 will mark the beginning of Taipei as the World Design Capital so prepare for a flurry of events between January 1 and 3. Join the folks in Taipei first for a splendid round of fireworks in Taipei City Hall Square on New Year’s Eve and then greet the first sunrise of 2016 at Dajia Riverside Park. The 2016 Break-Of-Dawn Concert has gathered a diverse line-up of groups and musicians to start the year; from the classical Taipei Symphony Orchestra to popular Thai rock band Slot Machine, there will be something for every ear. Also this event will feature WDC ZONE, design zones that manifest as mobile freight containers. Celebrities such as Mayday, Akibo and Mickey Huang and Taipei citizens alike have poured their artistic creativity into decorating these containers. Finally a multi-national flea market will be hosted. With food, cultural and creative collectibles/accessories and agricultural goods aplenty, this is a great event to take the family to.